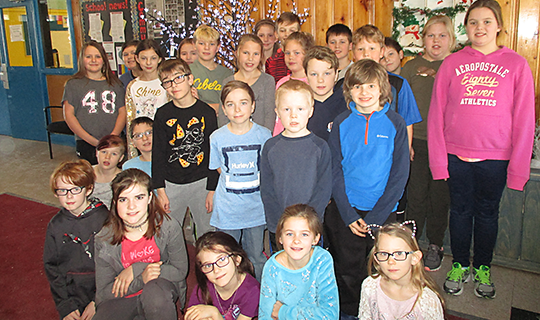 The Student Leadership Team at Chiganois Elementary School consists of a dedicated group of 4th and 5th graders who work on various projects to promote school spirit, with a focus on community service and giving back. They initiated a food drive before the holidays in support of the Colchester Food Bank Association. To kick it off, they organized a Crazy Hair Day and Pajama Day, where participating students were asked to bring a non-perishable item. The result was 332 lbs of food in donations! A heartfelt thank you to the incredible Chiganois families, whose generosity at such an important time of year was so appreciated by all.